Red Mold on Wall – Having a clean living space is everyone’s dream. However, the occurrence of mold is inevitable, especially if you are living in a tropical country where the general weather is very humid. This kind of condition is very ideal for mold growth. 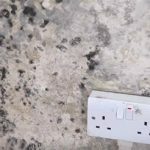 There are a lot of types of mold you can find near your living area. The most popular ones are black and green mold. 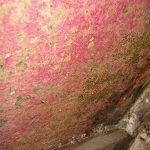 However, red mold can also possess some problems for your house, especially if they grow around the structural foundation of your house. Large colonies will turn these structural parts to be more fragile, which may lead to unwanted destruction. 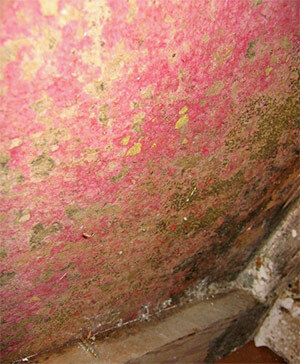 Red mold on wall is also another common occurrence. Oftentimes, it appears as small spots that can be wiped easily with mild cleaning agents, which cause those spots to be mistaken as common stains. However, it will re-appear from time to time even after you scrub it, and this is the best indication that those spots are indeed red mold. 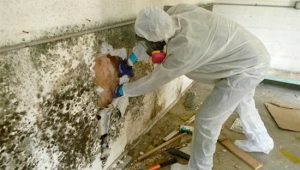 Red mold on wall will not only give bad looks to your building, it will also produce a typical musty smell excreted by mold, which can be quite unpleasant to your nose. Generally, this mold is harmless for healthy people. 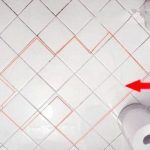 However, if you have people categorized as vulnerable groups living with you, you may need to be careful and remove this red mold as soon as possible. These vulnerable groups include elderly, infant, children, toddlers, and people with impaired immune systems, allergy, or respiratory problems. The common symptoms occur after mold exposure are exhaustion, dizziness, eye irritation, headache, blocked nose, sneezing, and coughing. 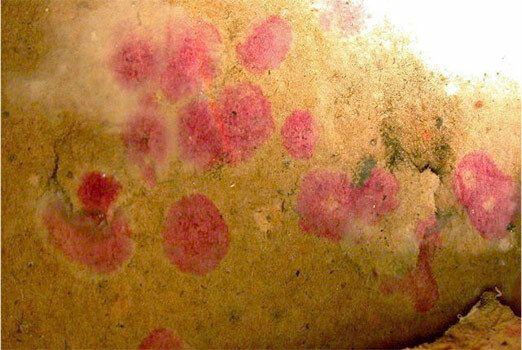 If you have a basement, you may also find red mold basement walls. It is usually caused by various reasons, such as leaks in the piping, excessive moisture within the basement, failure in sump pump, flash floods, poor ventilation, and failure in water heater. 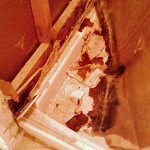 Mold really loves damp area and combined with the general lack of sunlight, basement is definitely an ideal environment for mold to grow. You can prevent its growth by installing dehumidifier for your basement, fixing basement leaks if any, installing basement wall sealers, and fogging your basement with recommended chemicals that have anti-mold properties. Mix 0.5 cup of bleach with 1 quart of water. Brush your drywall lightly with the mixture until every mold signs vanish. Wipe it gently, but do not rinse it to further kill the spores that still linger on your drywall. Use one cup of Borax in one gallon of water. Scrub the covered area with the Borax solution until every sign vanish from the wall. Wipe the excessive moisture and let the wall dry itself. Avoid rinsing the mixture off. 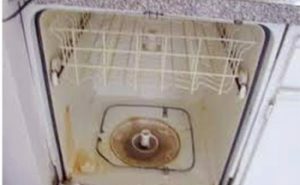 For a safer option, you can use vinegar, but it is not as effective as Borax to kill mold. Ammonia can be considered as an option, but only use it as the last resort due to its slightly toxic nature. It also does not absorb well into your drywall. Never once use ammonia on the wall that is previously cleaned by using bleach because it will creates a toxic gas. Make sure to wear gloves, mask, and google to protect yourself during the cleaning process as you are dealing with both mold spores and harsh chemicals. Make sure your room is well-ventilated before you apply any cleaning materials to your drywall. The list above already explained about several tips to remove red mold on wall. These tips are applicable only if the mold covers no more than 10 square feet. Using a professional help is recommended if the red mold covers your drywall more than 10 square feet because it needs more advanced tools from the experts. It may cost you some money to use professional service, but it will surely worth all the pennies. 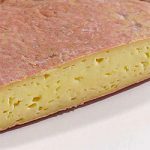 Related Posts of "Red Mold on Wall: Basic Knowledge and Removal Tips"